Being a project manager isn’t easy. Managing the work of others has the potential for as many different problems as there are people, and ultimately, the project manager is the one responsible for the project’s successful completion. There are many skills involved in being a project manager, but delegating is one of the most important. While it may seem to make more sense to handle all the important tasks yourself when overseeing a project, this will cause stress and burn out, which can lead to critical mistakes in judgment and execution of the work. Successful delegation in project management helps keep projects running smoothly and maximizes employee productivity. Delegating tasks in project management can be successful when you know your team members well. If you can choose your team, you want to select personnel with the specific strengths you need for the work at hand. If your team is assigned to you, learning about each member’s strengths and weaknesses will help you decide how to delegate tasks. Delegating should not be done in an offhand way or by casual observation, but ideally with intention by observing team members over a period of time or talking to their supervisors about their strengths and weaknesses. Once you have decided which tasks to delegate to which team members, you should prepare each member of the team for their duties by explaining in detail what you need them to do. Providing guidelines and requirements in writing, preferably online through a project management tool, will help everyone to be clear on what they need to do as well as deadlines that will enable the project to move forward in a timely way. It’s important that team members don’t become confused about what they’re being asked to do, since that will lead to wasted time and lost productivity. Delegating tasks to team members allows everyone to contribute to a project’s success. One risk of project management is to hover over team members to make sure they do their assignments acceptably and the “right” way, but project management training will tell you that this is a mistake for several reasons. First, such micromanagement is likely to cause resentment among team members, which will hamper both morale and productivity. Second, when you’re micromanaging, you’re not getting any of your own tasks done, and are probably spending as much time overseeing as you would if you had done the task yourself. You need to trust your own judgment—you assigned these tasks to your team for a reason. Ask for periodic updates for reassurance that team members are on track, and then trust your team to do their assigned tasks. The last and possibly best reason not to micromanage your employees is because you want them to grow through each project, learning new skills and figuring out how to manage what they’ve been asked to do. Putting yourself forward as a coach and support person who will help when needed but will not interfere with their efforts otherwise (unless you see the project going off the rails) will encourage your team to work to the best of each person’s abilities. Project management goal setting in the area of growth will lead to progress over time, but only if you avoid micromanaging your team. 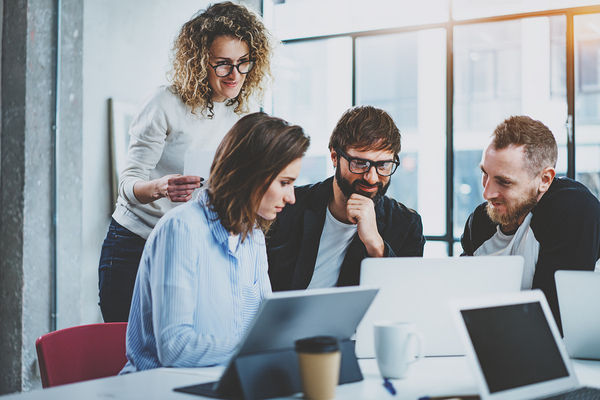 Learn more about our project management degree program and see how a Florida Tech degree can give you the skills for leadership in your workplace.